Who am I kidding-- this is a BIG makeover! The amazing and wonderfully talented Suzy created my new header and sidebar illustrations and I am in love! (I tweaked the rest of the layout myself). If anyone is thinking of giving their blog a new look, I highly recommend her-- she's an amazing artist and really easy to work with. Instead of completely revamping everything and pretending like nothing happened, I thought I'd give a little insight to the illustrations. I asked Suzy to add the books, tea, globe, and stars because I felt that together, they represented my little corner of the internet. Books: Some of my best childhood companions. My favorite way to get lost is in a book. 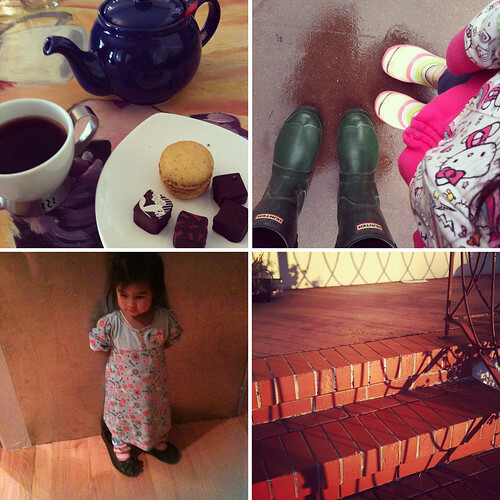 Tea: I'm obsessed (especially with tea parties) and it represents my blog's "food tendencies." Globe: For all the travels, you know? Stars: My name, Celeste Noche, means "heavenly night." I've always admired the night sky so I think my parents did a good job naming me. Other than that-- I hope you'll take a look around! Everything is updated and new!